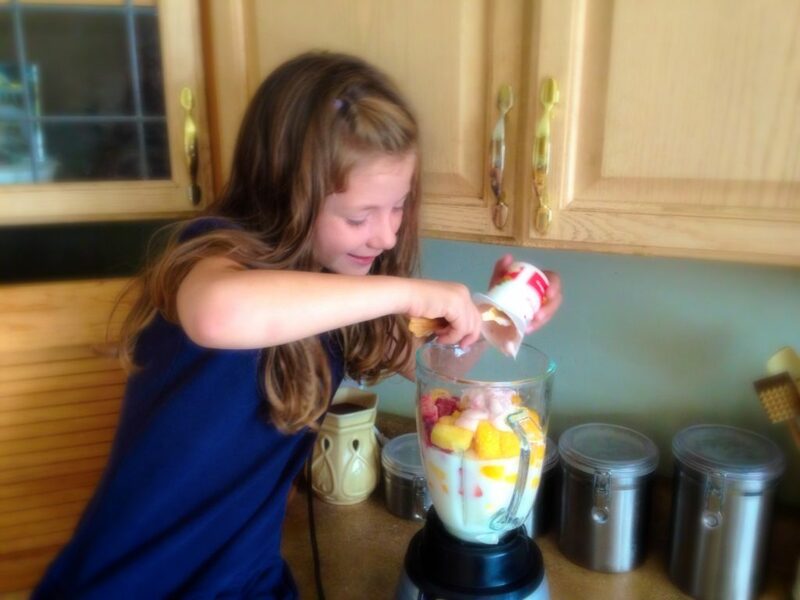 I am always looking for good after-school snack ideas for my kids. Whether my kids eat school lunch or I send a lunch from home, it seems like they are ALWAYS hungry the minute they walk in the door. Dinner time is two hours away, and it is super frustrating when they won’t eat the yummy dinner I made them because they just downed an entire package of crackers without me seeing. So, I decided I need to go on offense instead of making them wait for dinner. I need to have a snack on hand that I am happy about them eating when they get home so they don’t go sneaking into things I don’t want them eating while I’m off folding laundry somewhere… because I’m pretty much always folding laundry. I was trying to come up with something that they like and that will satisfy them without filling them up. And that would also get some kind of fruit or vegetable in their bodies so I don’t have to feel guilty about them not getting enough fruit and veggies all the time. The answer was a smoothie, of course! 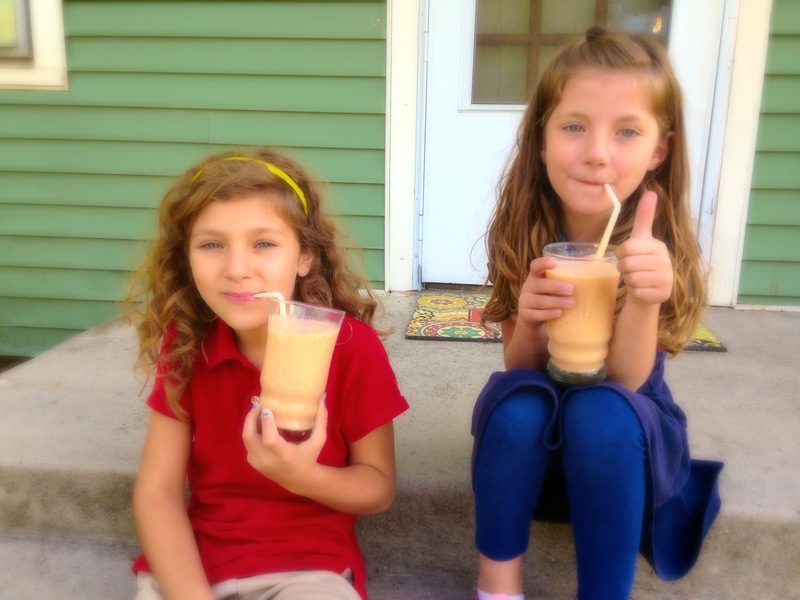 My kids love smoothies! So, I thought I would share my favorite smoothie recipe. It is quick, easy, and a big hit with my kids. One key ingredient for me is Yoplait® yogurt. I love its creamy texture and it adds just the right amount of sweetness to my smoothie, while adding a little protein. 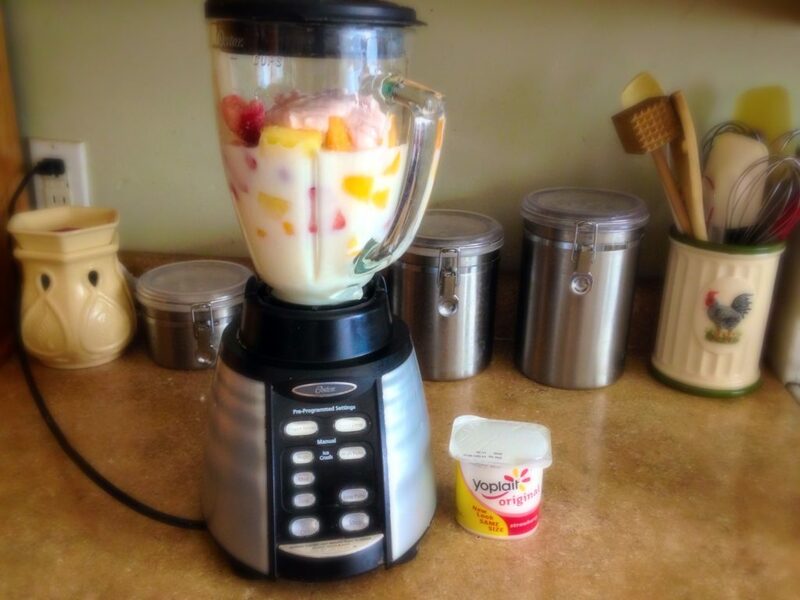 Yoplait® literally puts the smooth in my smoothie. 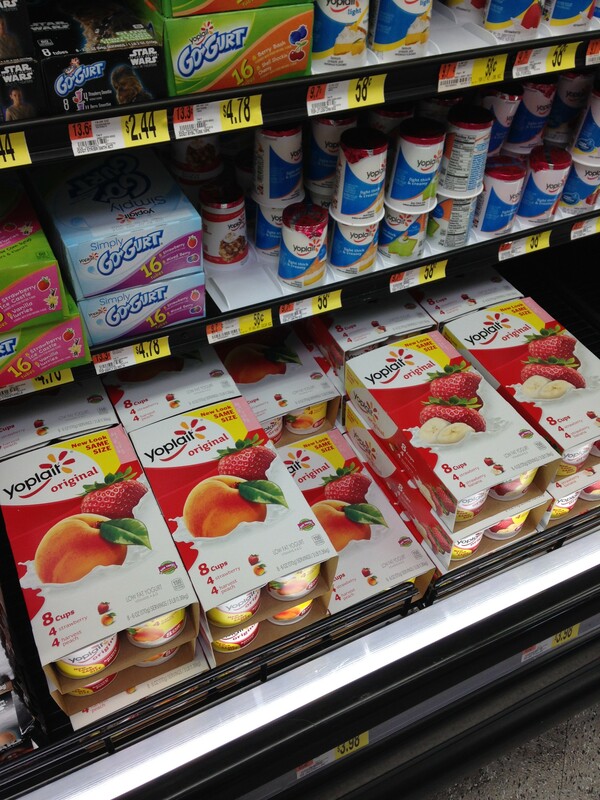 I was just at Walmart and picked up the Strawberry/Peach Yoplait® Fridgepack so I have plenty on hand to make my after-school smoothies for the week. Sometimes I freeze the yogurt if I want a thicker smoothie, but it also works great right out of the fridge. 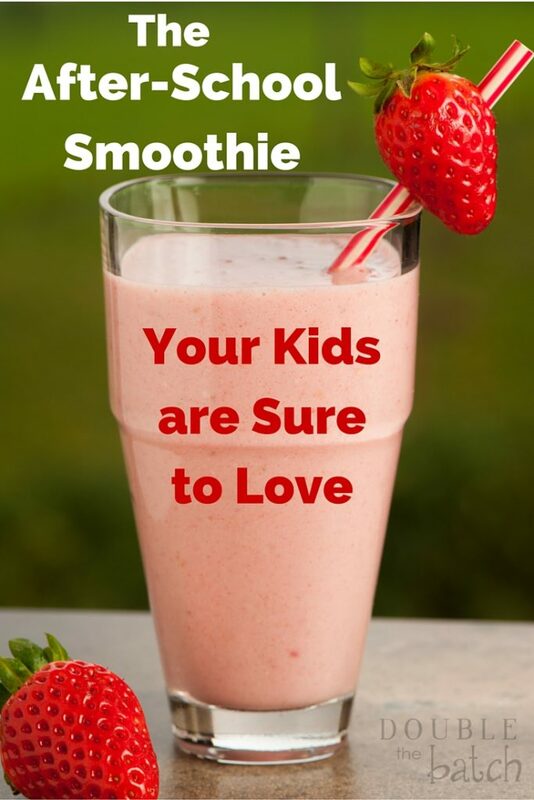 The biggest problem is getting them to last long enough in the fridge for me to make smoothies, because the kids will probably sneak in there and eat that delicious stuff while I am… off folding laundry, naturally. What is your favorite way to snack with Yoplait® ?